Tabletop display, with recipe added, for Bobby Batugo's Memmories cocktail at Tip's Restaurant. 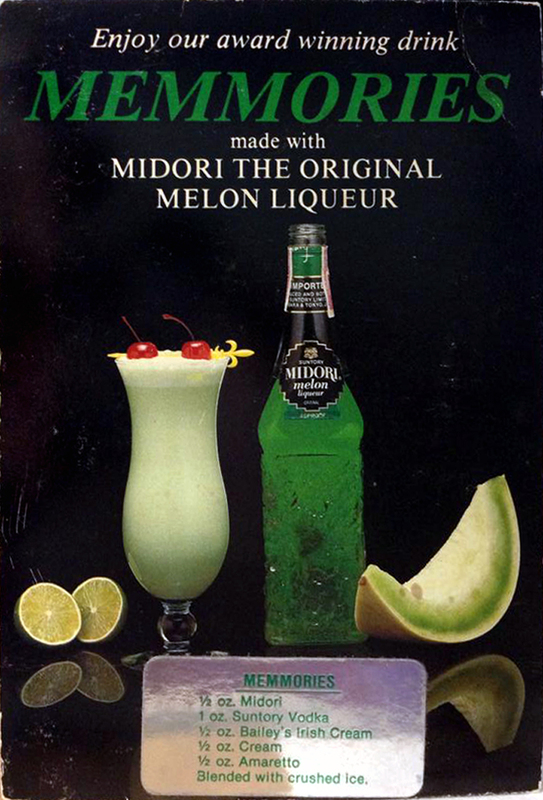 According to Tony Newhall, Memories (without the double "m") was Batugo's winning entry in the 1982 U.S. Bartenders Guild competition in the mixed-drink category at the Sheraton Universal Hotel in Los Angeles. It won him his fourth USBG title and $2,500 in cash. His original Memories drink didn't contain the added "m" — Midori. Instead, the ingredients were 1 oz. Amaretto, ¾ oz. Bailey's Irish Cream, ½ oz. Blue Curacao, 1 drop of lemon juice and 2 drops of Frothee. Newhall says Batugo named the drink after the tune he frequently found himself humming behind the bar: "Memory" from the 1981 Andrew Lloyd Webber musical, "Cats." 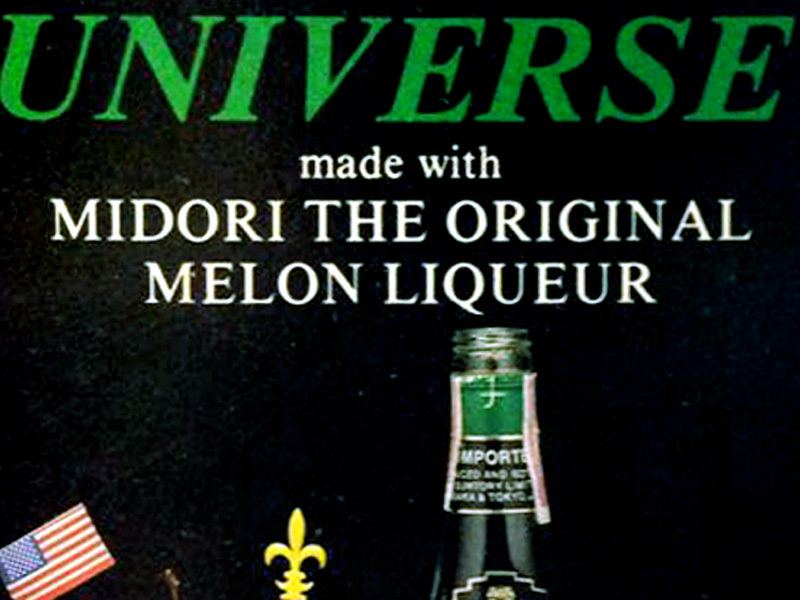 Later, Suntory (owner of Midori) swapped out the Blue Curacao and some of the Amaretto for Midori and Suntory-brand Vodka and renamed the drink "Memmories" with a double "m."